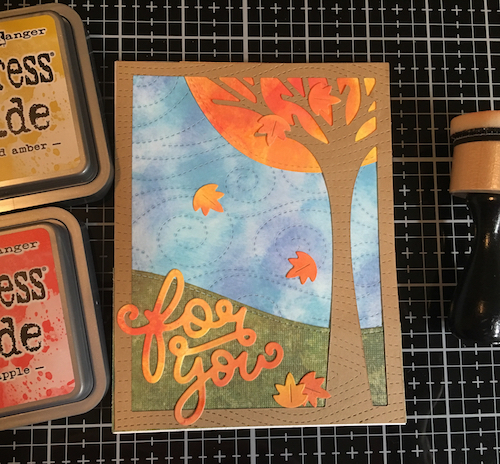 What a creative use for stitched and woodgrain dies! Beautiful card! What a great inky card! It really pulls you in! Thank you so much for playing with us at Lawn Fawnatics!